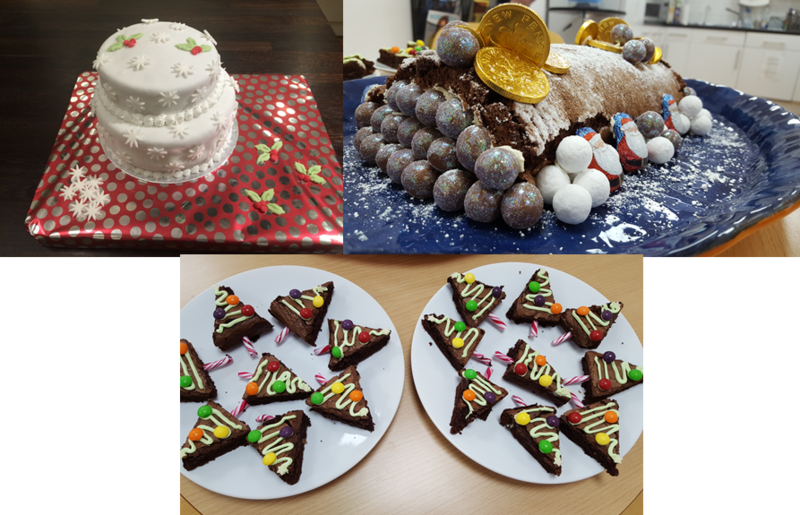 Last week saw the final of the 2016 Kirk Rice Charity Bake Off. It is the 4th year that we have held this competition and each year it seems to get bigger and better with more participants and more impressive and delicious bakes. 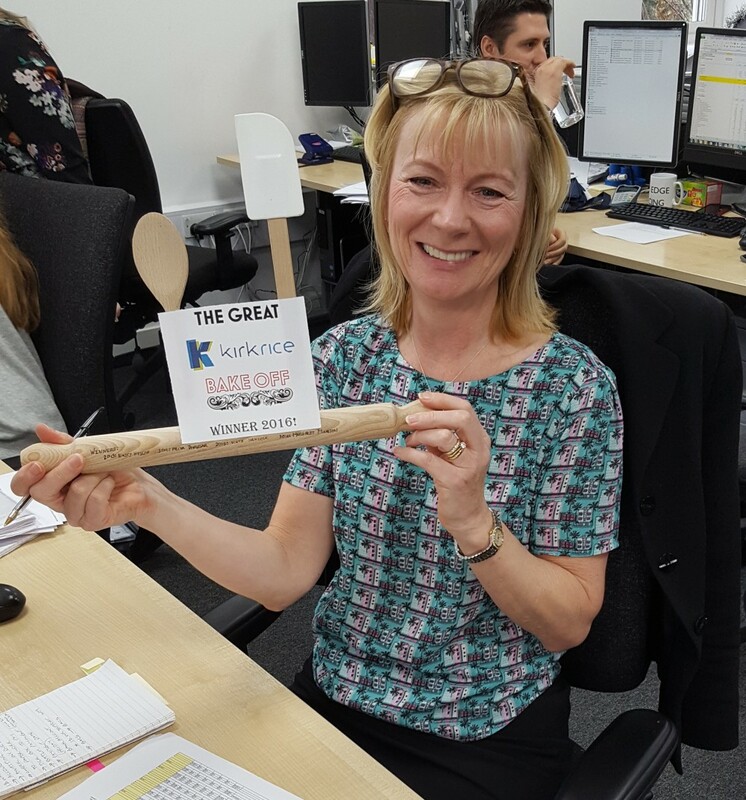 Over the past few weeks we held 2 heats with 11 members of staff in the Ascot office baking to compete for the much coveted Kirk Rice Bake Off Trophy. Competitors were Kate Hancock, Margaret Marson, Sarah Newell, Karen Dickson, Karina Mann, Rebecca Felgate, Liz Kennedy, Sharon Adams, Priya Bhavsar, Michael Powell and Jamie Hazell. Frances Frith, Nicola Wynne and Jack Butterworth all baked in the Putney Bake Off. In the busy lead up to Christmas, last week, our final head to head battle took place in Ascot. The theme was of course Christmas, with the bakers given the freedom to bake whatever style cake they liked! All the bakers stepped up to the final challenge. They all looked amazing as you can see, and they tasted delicious. I guess in the end it came down to whether the Ascot staff were chocoholics or not! The votes were counted and the final winners announced as …………………… Margaret in Ascot and Frances in Putney. It seems that once again, chocolate is the way to the Ascot team’s hearts, but the Putney team preferred the Lemon Drizzle! Here’s Margaret with her trophy. During each round staff donated to taste the cakes and cast their votes. 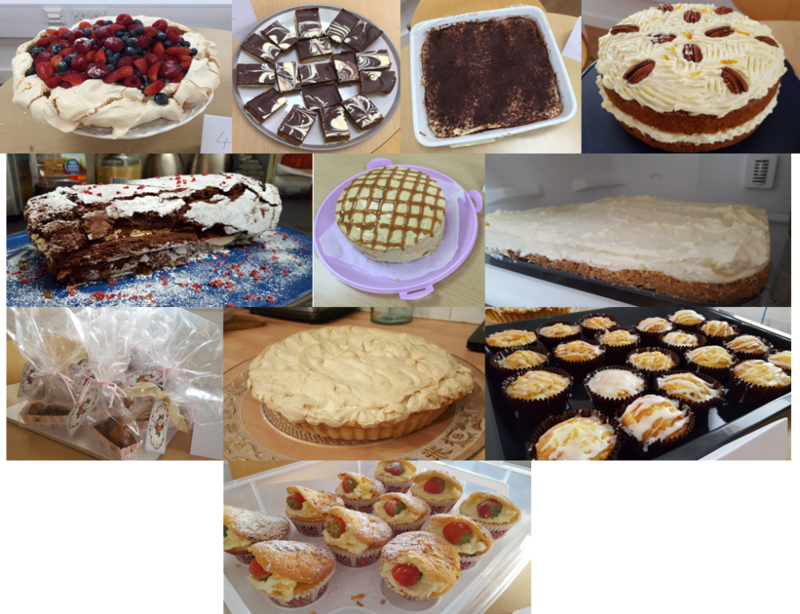 A massive thank you goes to all staff who took the time and effort to produce such impressive and delicious bakes and those who increased their waistlines tasting them. Finally, huge congratulations to Margaret and Frances our 2016 winners. Roll on Bake Off 2017 and hold on to those trophies tight as they will be challenged again! Throughout 2016 we have held many other fundraisers, including a dress as your Favourite Superhero day! These events have raised a total of £2,242 with donations made to Children In Need, Crisis, Ascot District Day Centre to date. But our biggest fundraiser is yet to come with this weekend’s staff Christmas Raffle where all monies raised will be donated to Alexander Devine Children’s hospice.